Raleigh Community Animal Hospital is proud to serve the Raleigh, NC area for everything pet related. Our veterinary operations are overseen by Dr. Teresa Danford, a licensed and experienced Raleigh veterinarian. Our management team has vast experience in all avenues of animal care, from emergency medicine to local rescue work and from nursing to rehabilitation. 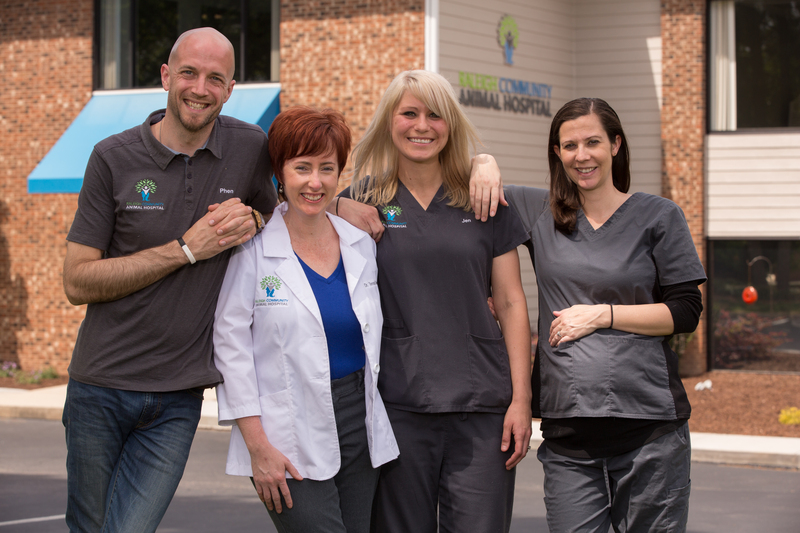 Our team is committed to educating our clients with the 'know-how' to keep your pet healthy, utilizing our wellness way of immunizations; dental health; weight management and nutrition; behavior and mental health; internal function; and internal and external parasite control. Raleigh Community Animal Hospital stays on top of the latest advances in veterinary technology, constantly challenging ourselves to be your go-to source for all your questions, concerns, and needs. We strive daily to remember and practice what we teach: that all animals need to be treated with loving care in every check-up, procedure, surgery, and interaction.